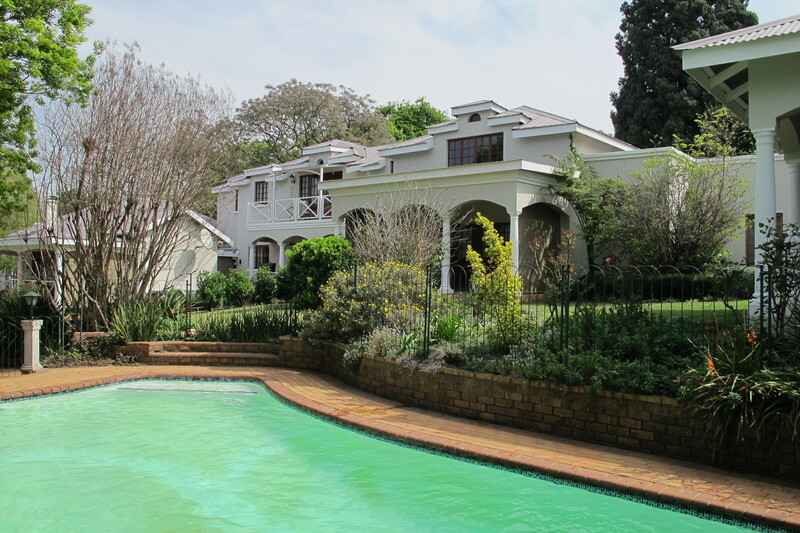 Large one bedroom unit in Craighall Park. This is a large duplex unit. 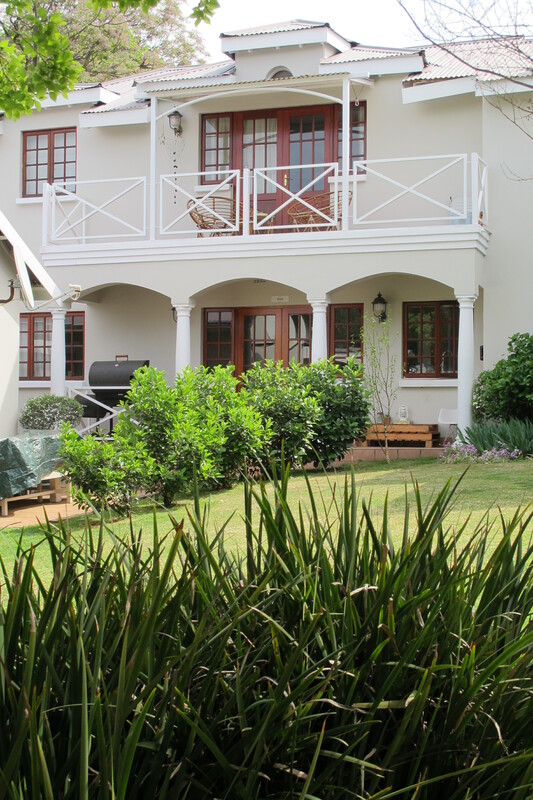 Downstairs are the lounge, dining room and kitchen with a verandah overlooking the complex communal gardens. At the top of the stairs is an open plan study. The main bedroom and bathroom us large with lots of cupboards and leads out onto a balcony with views over the tree tops. There is a double carport for parking. It is situated in a small complex with a pool and the complex management maintains the gardens. There is additional secure visitors’ parking. Rental is payable monthly in advance and utilities (electricity, water and rubbish bins) are charged separately.